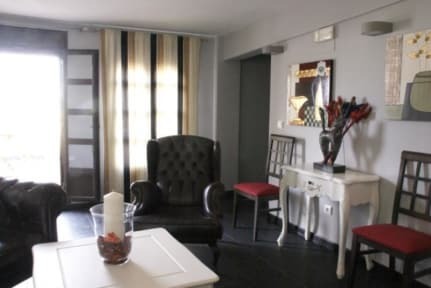 Hotel Plaza i Sevilla, Spanien : Boka nu! 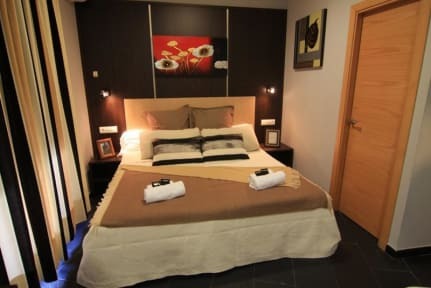 Hotel Plaza is situated in an exceptionally zone which is the oldest and the monumental part of the city of Seville. It is situated near to the Cathedral and main monuments of the city. Just 10 minutes is the fair, the Real Maestranza de Caballeria, a few meters is the Santa Cruz quarter, the Golden Tower and the Guadalquivir river. The hostal is a modern building recently refurbished and recently opened, providing great commodities. The hostal has 30 spacious rooms, enjoyable and comfortable, all equipped with bathrooms, air conditioning and TV. Ideally for resting and relaxing after a long touristic day.